John Connolly's originality and talent for storytelling have quickly made him one of today's preeminent thriller writers. Now, in The Unquiet, private detective Charlie Parker returns to untangle a horrifying story of betrayal, unclean desires, and murder -- a story of never-ending evil whose conclusion is still unknown. Daniel Clay, a once-respected psychiatrist, has gone missing. His daughter insists that he killed himself after allegations surfaced that he had betrayed his patients -- but when a killer obsessed with uncovering the truth behind his own daughter's disappearance comes seeking revenge, long-forgotten secrets begin to emerge. Hired by Dr. Clay's daughter to protect her from the predator on the loose, tortured and ingenious private detective Charlie Parker finds himself trapped between those who want the truth to be revealed and those who will go to any length to keep it hidden. John Connolly masterfully intertwines secret lives and secret sins with the violence that so often lies beneath the surface of the honeycomb world in this gripping narrative. Fast-paced, hypnotic, and elegantly told, The Unquiet is John Connolly at his chilling best. John Connolly's originality and talent for storytelling have quickly made him one of today's preeminent thriller writers. Now, in The Unquiet, private detective Charlie Parker returns to untangle a horrifying story of betrayal, unclean desires, and murder -- a story of never-ending evil whose conclusion is still unknown. Daniel Clay, a once-respected psychiatrist, has gone missing. His daughter insists that he killed himself after allegations surfaced that he had betrayed his patients -- but when a killer obsessed with uncovering the truth behind his own daughter's disappearance comes seeking revenge, long-forgotten secrets begin to emerge. Hired by Dr. Clay's daughter to protect her from the predator on the loose, tortured and ingenious private detective Charlie Parker finds himself trapped between those who want the truth to be revealed and those who will go to any length to keep it hidden. John Connolly masterfully intertwines secret lives and secret sins with the violence that so often lies beneath the surface of the honeycomb world in this gripping narrative. 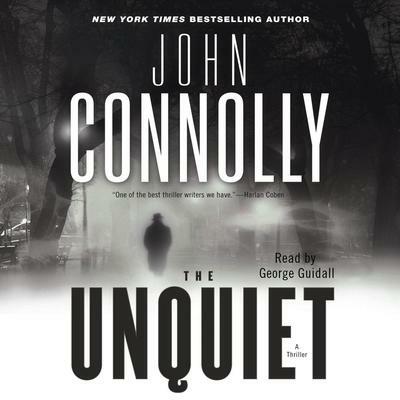 Fast-paced, hypnotic, and elegantly told, The Unquiet is John Connolly at his chilling best.